First focal plane scopes are becoming more and more popular as time goes on. This is because they offer greater accuracy at virtually all ranges once you get used to their shifting nature. In this guide, we’ll explain what makes FFP scopes so worthwhile and find you some great examples to use on your own rifle. What is the First Focal Plane on a Scope? When we talk about the first focal plane, we mean that the reticle has been placed or etched near the front of the scope near the lens. The result of this design is that the reticle will change size as you switch magnification levels. For instance, the crosshairs will get larger as you zoom further. Therefore, your mil-dot or MOA values will stay the same no matter what zoom level you’re on. If you are going to use your scope for shooting across long distances, the first focal plane can allow you to calculate distance and arc trajectories more quickly and accurately than if you had to estimate from mixed MOA values. Hunters and snipers are starting to enjoy using FFP scopes more than ever. However, this can be a little confusing while you're not used to it, and at some long distances, the reticle can cover your target if it's too small to appear beyond your crosshairs. What is the Difference Between the First Focal Plane and the Second Focal Plane? The second focal plane, meanwhile, means that the scope reticle is positioned further along the length of the barrel. This will result in the reticle staying the same size no matter what magnification level you switch to. This also means that the associated MOA values and similar notches will also stay the same, making you have to estimate the value changes as you switch from the reticle’s “native” zoom level. This can be of great use if you have a scope that only has a handful of shorter-magnification ranges to switch between. If you rarely make large zoom adjustments, then not having to redo your understanding of the crosshair can actually make you faster in your target acquisition. In a lot of cases, shorter-zoom scopes will handle an SFP reticle better while longer-zoom scopes will make better use of the versatility of an FFP scope. However, this is not always the case. If you’re willing to put in the time and learn to use an FFP reticle correctly, you can be better at estimating distances even with short range scopes. It just takes more practice. Before we get into the nitty-gritty and show you some of the best FFP scopes on the market, let's go over a few key factors and terms to watch out for as you read. These affect your use of the scope and its overall quality. Make sure that you get a scope that’s of the right zoom levels for your activities. If you’re a long-range hunter, find a scope that provides magnification for around 12x or higher. If you’re a short range hunter, you can obviously go lower. Many good lenses are multi-coated with material to better move light through the scope without glare and/or to defend themselves against damage from scratches. Try to find coated lenses, since these increase the scope’s value. Weatherproof scopes are great since you can safely use them in any outdoor conditions. We also really like them because they'll last for longer and save you money in the long run, even if they're more costly up front. Some scopes will make use of a “BDC” reticle, which allows you to see through the reticle and will provide great value for acquiring small targets from far away. The smaller the target, the greater the chance it has to disappear behind your crosshair. But with a BDC reticle, you can look through the obstruction and make your shot. Any scope that has a BDC reticle is worth your time. Now, let’s take a look at the best FFP scopes for the money. These won’t be the most premium options out there, but if you’re on a budget but still need a practical, working scope, any of these picks will be worth your money. The Monstrum Tactical scope provides a good close-quarters option that a lot of hunters will really enjoy. Since its magnification levels are all within short distances of each other, the practice needed to effectively use the FFP reticle is minimal and it’s a BDC variety, too. This means that looking through the reticle at your target is a snap. What’s better is that the reticle can be illuminated in either red or green depending on your preference, and you’ll find that there are plenty of brightness intensity options to fully customize your experience. The scope is made from aircraft-grade aluminum to provide you with a long-lasting product that’s great for the money. It’s totally weatherproof, too, so you can use it in any environment. Add to that a bunch of scope rings, a filter sunshade, lens covers, and a carrying bag and you’ve got yourself one amazing scope that provides outstanding value for the money. It’s a great scope for any shooting conditions that aren’t too far away. 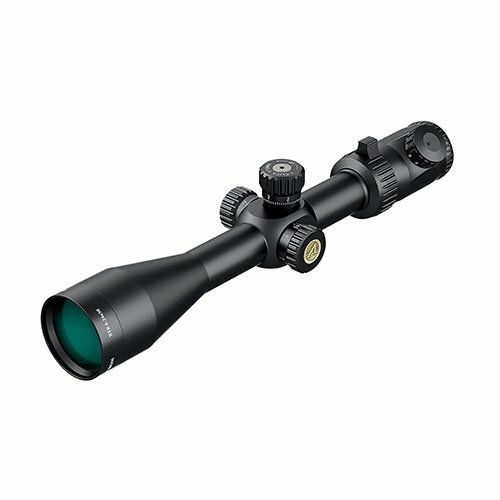 This is ideal for short-range hunting or shooting and is a durable, versatile scope with a low learning curve. It comes with a number of great accessories to make your purchase even more worthwhile. 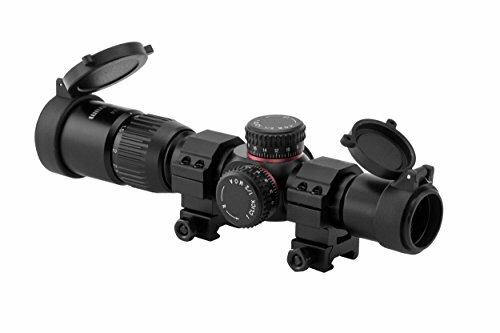 This is a longer-range scope from the same manufacturer, Monstrum. It can flip from magnification levels between 6 and 24x the standard. It’s much better suited for snipers or if you’re a hunter going after game that requires you be a fair distance away. Thankfully, FFP reticles are great for managing various distance ratios with their reticle notches. The reticle on this scope is a rangefinder type, which means that it has a lot of MOA notches and holdover correction built into its design. Estimating the trajectory of your long-range round will be pretty easy with this kind of reticle. The adjustable lens of the scope can let you focus your target image or eliminate parallax to better improve your accuracy. The reticle can be further adjusted to your optimal settings because it’s illuminated. There are a multitude of different intensities at which you can set this illumination. There are a number of great accessories that come with your purchase, too, including Picatinny scope rings, a filter sunshade, lens covers, and a carrying bag. This is very much the long-range version of our Best Overall scope, so pick between these two depending on the range in which you plan to operate. This scope is a longer-range version of our previous scope and has a great reticle for facilitating accurate range estimations. It’s also illuminated and can be used for daytime or nighttime shooting. Accessories are included as well. This riflescope is another long-range model that’s ideal for hunters who need to stay farther away from their game. The first focal plane reticle will help with adjusting for distance and maintain accuracy even over far ranges. The lens offered by the Athlon Optics scope is multi-coated. This serves two functions. First, it improves light transmission down the scope to make your sight picture even better than before. This will assist in target acquisition, especially if your target is in front of a mono-color background. Secondly, the lens will be a little more resistant to scratch damage. The entire scope is made from aircraft grade aluminum, so it'll be durable throughout many expeditions. While it's not totally weatherproof to all conditions, it is waterproof, even to the point of total submersion. You can rest assured that this scope can accompany you on your hunting trip no matter the season. Finally, the adjuster knobs on the sides of the scope click audibly when they’re being used for tactile responsiveness. They’re very smooth and easy to manipulate. The Athlon Optics scope is ideal for longer-range hunting and provides a durable, waterproof base for consistent, sharp targeting. Its lens provides a bright, clear sight picture. 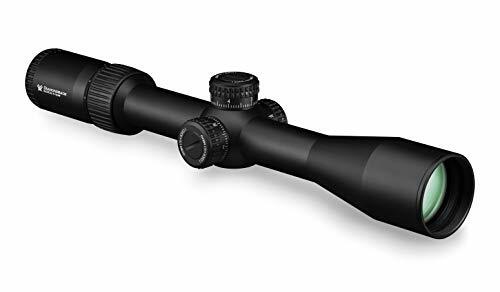 The Diamondback is a really great scope that provides an awesome range of magnification levels, not too close or too far for a versatile hunter. It can zoom between 4 and 16x of the standard level, so if you like to hunt all kinds of animals at various ranges you’ll enjoy the wide range offered here. The lens is multi-coated and made with low-dispersion glass. What this means is that your sight picture is going to be even better than many competitors that might cost more money in the end. More light will travel the length of the scope to reach your eye, enabling you to be more accurate and acquire your target more quickly. In addition, the precision-glide erector system ensures that switching magnifications is never jarring or jolting. Smooth transitions are a staple of this scope’s operations. The knobs for adjusting for parallax are great and precise as well, although they do stick out somewhat from the scope base to make the entire unit a bit clunky. The scope is very durable and weatherproof. It’s built to withstand all kinds of impacts or recoil, so heavier-hitting rifles won’t be too much to handle. Fog, water, or impact will not affect either the scope’s chassis or the placement of its reticle. The Diamondback is a versatile scope that’s built to last. Its sight picture is crisp and among the best in the market. When it comes to value for money, it’s tough to beat a scope that’s made so well. 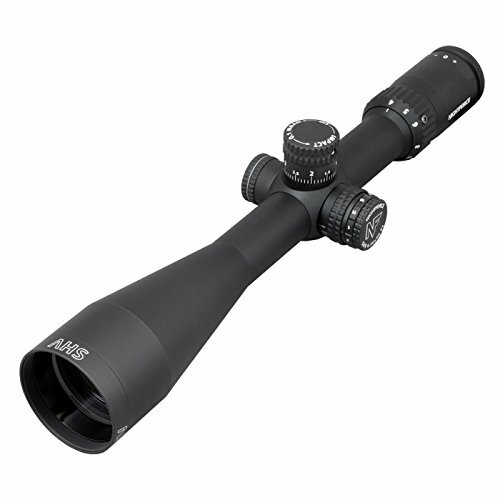 Here we have another versatile scope that comes with some of the best range values you can get: 4-16x. This ensures that you have some flexibility if an animal gets close while still possessing the range to perform far-range hunts for animals that aren’t yet aware of your presence. The scope is built with a BDC reticle, which is an excellent choice for FFP scopes due to the ability to see through the crosshairs. This will be of greatest help with the longer ranges available within the scope’s settings. Furthermore, the lens is made with an anti-reflective coating that prevents glare from traveling down the length of the scope to hit your eye. The coating also helps to promote greater color contrast and thus, enhances your sight picture. In addition, scratch damage will be less frequent with this lens due to its coating. The scope’s adjustment knobs aren’t quite as precise as some others on our list, as they adjust by ¼ of an inch instead of ⅛ of an inch, but this is a minor flaw in an otherwise exceptional product that provides great value for money. This scope has a great set of zoom values and its reticle is one of the best. The anti-glare coating will help you acquire your target even when facing the sun on a bright day and the BDC reticle makes certain that an FFP scope's greatest weakness – that the crosshairs sometimes obscure your target – is minimized. 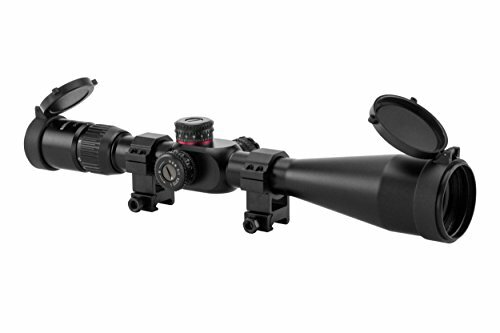 This long-range scope is a great option for hunting that takes place at a distance. It has magnification for zoom levels between 5-25x standard and is balanced for easy swiveling as you track your target. The fiber optic rotation indicator helps keep your scope balanced and level as you move it and switch between magnification levels. Keeping your eye on the target has never been easier. The reticle can be set to ten different intensity levels and is bolstered by the low-dispersion glass that improves your color fidelity and resolution. There's also a valuable Armortek coating that will protect the lens from damage from scratches, oil, or dirt. The reticle features intuitive hold points but is designed to be simple and uncluttered for easy tracking. This is important, especially for a first focal plane reticle, since the size of the crosshairs will change as you flip between magnification levels. The scope is totally weatherproof and is made from aircraft-grade aluminum. It’s designed to be used in any environment. The knobs for adjusting parallax are sensitive but they stick out a bit from the main piece, making it a bit bulkier than we like. Still, it’s an overall amazing piece that deserves a spot on any long-range scope list. The Viper is a great longer-range model that prioritizes smooth target tracking. Its swiveling capability is second to none. Also, its lens is made with high-quality coatings to extend its lifespan and deliver the best possible sight picture. 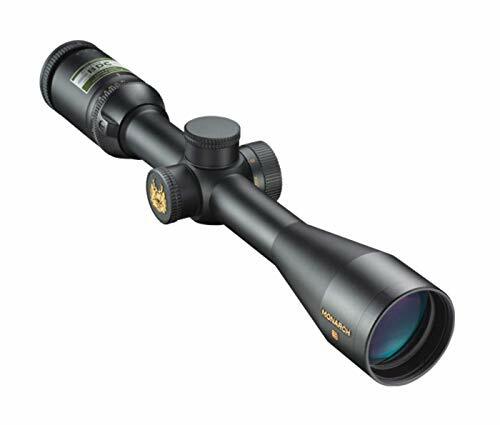 Finally, the NightForce SHV provides medium-range zooming values at 4-14x magnification. It’s a durable scope that’s made for quick switching between targets or tracking fast-moving animals. The lens is coated to produce more light down the scope’s length and its reticle is an illuminated MOAR model. This illumination is quite bright and can be adjusted between several different settings. 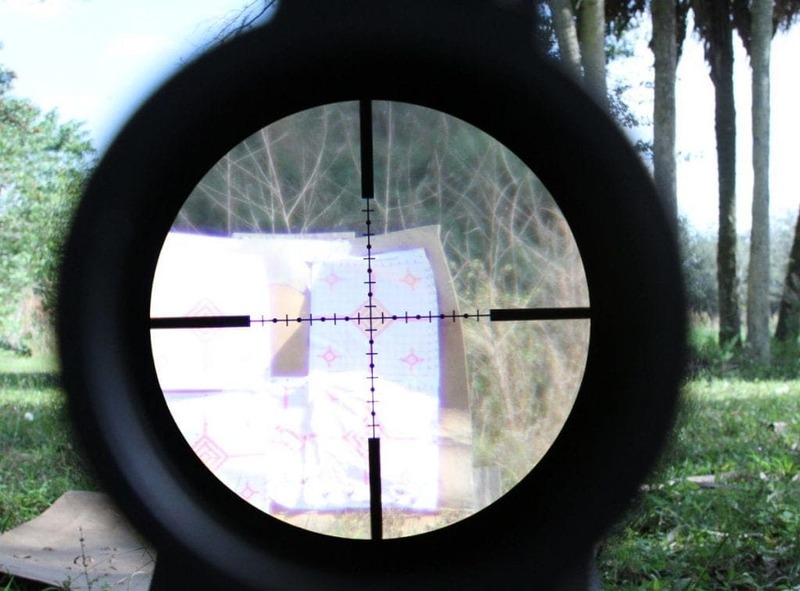 The reticle is clean and uncluttered, which helps since first focal plane reticles can often obscure your target, especially at longer distances. There’s a capped windage turret and an exposed elevation turret. Both of these knobs help you to adjust for these elements at longer ranges and their adjustments are always smooth and precise, requiring only slight turns to produce results. The parallax adjuster can go from 25 yards to infinity. Although this scope is quite pricey, it’s also one of the best-weighing scopes we’ve looked at. It feels incredibly balanced atop most rifles and will be a good pick for hunters that switch magnifications frequently and who aren’t stuck at long ranges hunting for one specific animal. 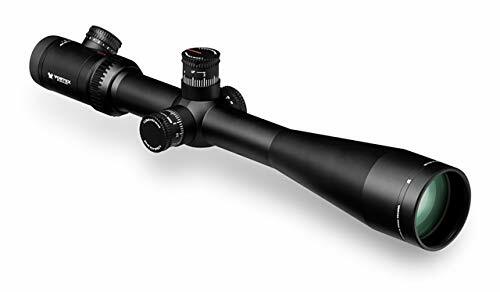 This scope is ideal for medium-range shooting and can be used during the day or night thanks to its illuminated reticle, which is bright and crisp. The scope is balanced and easy to adjust and the knobs on its sides are useful and effective. Now that you’ve learned all there is to know about FFP scopes, get out there and start hunting! You’ll find that getting used to the shifting reticle size is easier than you think, and once you’re adept at using it, your hunts will be even more successful than before. Happy hunting!